How the winter weather can effect arthritis and cause other injuries! Over the winter months, as the days get colder, nights get longer, and the wintery weather hits us, we tend to see a lot more of certain conditions and injuries that are affected by this. Two of these are arthritis and neck injuries. It has been a long debated subject whether or not the cold weather has an effect on injuries and conditions such as arthritis. Over the years, particularly in winter, we have seen a fluctuation in arthritis patients coming to see us, who are suffering from enhanced symptoms such as stiffness and an increased amount of pain in the affected joints. One of the suggested reasons for this happening is due to the more sedentary lifestyle and inactive lifestyle that people live during the colder months. Being more inactive by staying indoors more, or sitting in the same place or position for longer periods of time causes the joints to stiffen or seize up, therefore causing symptoms to resurface. Another theory, which is perhaps a little more scientific, suggests that when the atmosphere is cold, it causes tissue to shrink which then pulls on nerves in the arthritic regions and is this translates into pain. The opposite occurs when the atmosphere is warmer – it makes you feel better mentally and physically as joints can move better when they are warmed up. This theory does not provide any evidence that it changes the conditions, but that it can have a symptomatic positive or negative effect by the soft tissue around the joint being either freer or tighter. Treatments that can help these symptoms are acupuncture and joint or muscle mobilisation. Acupuncture helps to regulate the body’s nervous system and can stimulate the release of the body’s natural pain fighting endorphins. A study in Germany showed that 304,674 people with osteoarthritis of the knee, who received 15 sessions of acupuncture along with their usual medical care (physiotherapy) had less pain and stiffness, and a better quality of life than fellow arthritis patients who had routine care alone. The results came after a 3 month course of acupuncture (15 sessions) and lasted for another 3 months. This suggested that osteoarthritis can be treated with acupuncture. Neck injuries also seem to appear more in our clinics during the winter, with strains and ‘cricked’ necks being the most common. When the cold weather sweeps in, we seem to hunch our backs, draw our necks down, and pull our shoulders up, as if like a turtle retracting back into its shell. Our postures change as a result and this causes the knock on effects of neck and shoulder strains. As mentioned for arthritis, a more sedentary lifestyle can also contribute to these injuries too. Often one sudden turn of the head and you are aware that something in your neck ‘just isn’t right’ or your neck ‘locks’. The cold weather can have a negative effect on this too. The good news is that this process is simple mechanics and has an equally simple mechanical solution…if it’s stuck, we can move it. The best thing to do in the cold weather, if you’re out and about, is to wear a scarf and keep your neck warm. Wrap up so that you don’t find yourselves bringing back those bad postural habits that could lead to aches and strains. 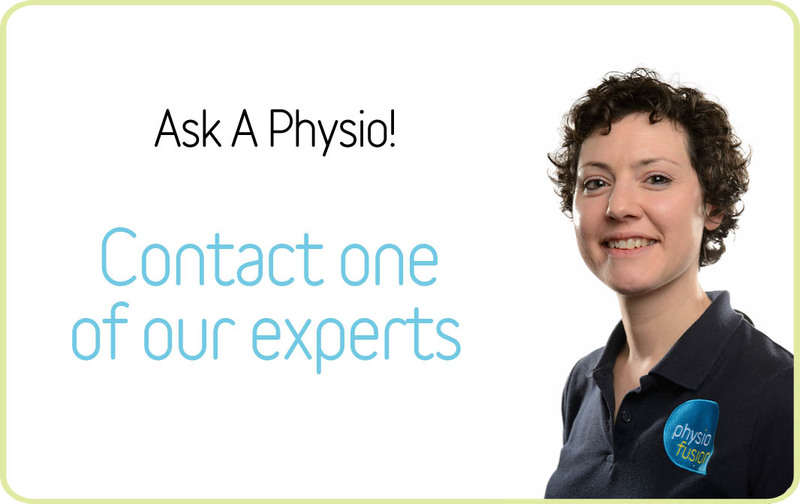 If you have any questions or would like some more information on your condition or injury, please use our Ask-A-Physio service, it’s free to use and one of our specialist physios will get back to you as soon as possible.